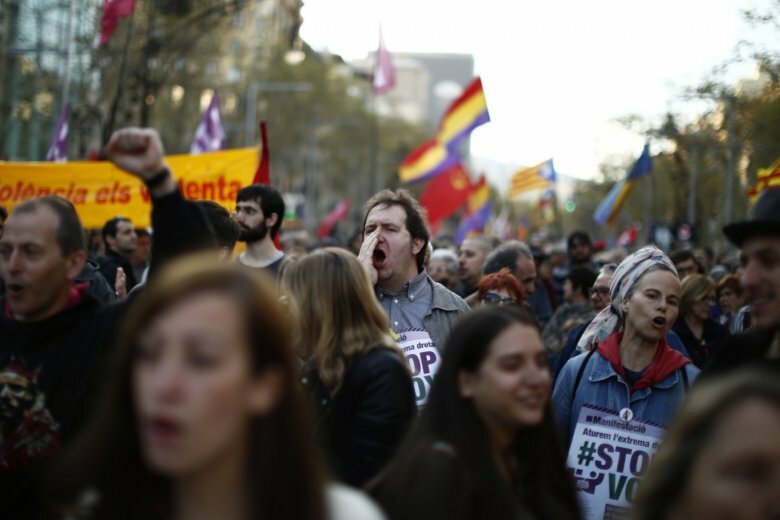 BARCELONA, Spain (AP) — Several hundred people have marched in Barcelona to protest the emergence of a far-right party in Spain ahead of next month’s national elections. Spain hadn’t had a far-right party for years until Vox erupted onto the political scene by winning representation in regional elections in the country’s south in December. Vox has scheduled a rally next weekend in Barcelona as part of its campaign to win seats in the national Parliament in the April 28 general elections.